Most people who drive a vehicle will have a traffic or misdemeanor offense at some point in their lifetime. It happens—we drive too fast, forget to use our blinker, or accidentally run a red light. A mere speeding ticket can cause you trouble—resulting in points against your license, expensive fines, increased insurance rates, and missed time from work while you waste time in court.  So whether you are charged with a traffic ticket, driving on a suspended license, or a misdemeanor, Austin Bradley Law Office can help. We also provide help and services for DWI and DUI offenses. These offenses can cause you to lose your license and driving privileges, may result in jail time, and can remain on your record permanently—which can affect future employment, living arrangements, insurance coverage and more. With Austin Bradley’s help, these problems can be easily solved, saving you money and time. There was no probable cause to stop you. Poor results or performance in sobriety tests may not have been a result of intoxication. Inaccurate, broken or mishandled breathalyzer equipment. Insufficient training or certification to administer a blood alcohol content chemical test. Poorly stored or improperly administered blood test. Blood alcohol content levels may not have been above the limit at while driving but was above the limit during testing. Driving while your license is suspended or revoked can result in being ticketed and even arrested. This could lead to a longer suspension, revocation, and can even result in incarceration. Austin Bradley understands that life requires you to drive—especially when living in a city that doesn’t have public transit or cheap taxi fares. We can help you apply for a hardship license that allows you to drive legally to necessary destinations, such as: work, school, church, and doctors’ appointments.